Grease is the word! This 1978 film rode the wave of 1950s nostalgia and became a cultural phenomenon. Based on the long-running Broadway musical, the film version capitalized on the success of John Travolta and Olivia Newton-John by pairing them and making film history. The film was directed by Randal Kleiser based on the original play by Jim Jacobs and Warren Casey. The cast included 23 year old Travolta, 28 year old Newton-John, 26 year old Jeff Conaway, 33 year old Stockard Channing and cast members ranging from 20 to 31 including Barry Pearl, Michael Tucci, Kelly Ward, Didi Conn, Jamie Donnelly, Eddie Deezen and Annette Charles. Only Lorenzo Lamas and Dinah Manoff were teenagers, at 19, from the principal cast. A dash of old Hollywood – or at least TV from the 1950s rounded out the adult cast with Eve Arden, Sid Caesar, Dodie Goodman, Alice Ghostley and Joan Blondell. Frankie Avalon had a cameo as the very contemporary looking Teen Angel. Because of the success of Saturday Night Fever, a BeeGees written title song was added. Other songs were written for Newton-John by John Farrar, her main songwriter. One of those, “Hopelessly Devoted to You,” nabbed the film’s only Oscar nomination. 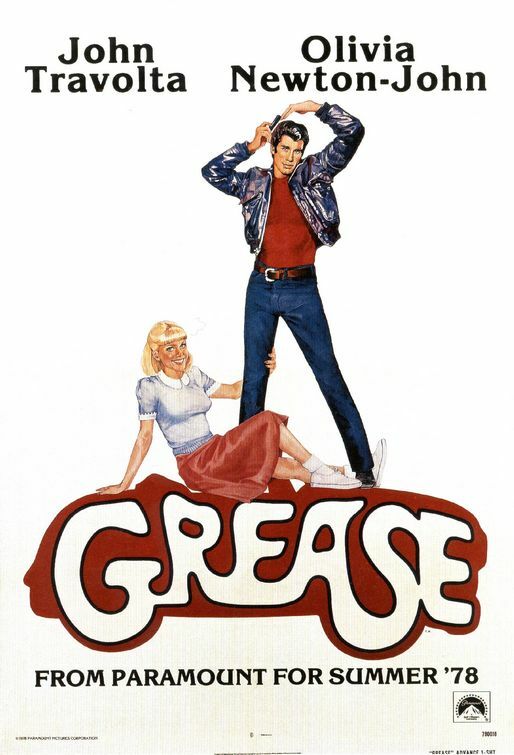 Sha-Na-Na was added to perform 1950s standards and Grease songs at the school dance in the film. Though the film has its flaws, it was wildly successful and stands up today as still a very fun film. Just hearing the opening strains of “Summer Nights” is likely to send people into singing “Tell me more, tell me more….” In the 1970s, Grease was evocative of a simpler time. Now, 37 years after its initial release, the film stands as a reminder of a simpler time – the summer it came out.